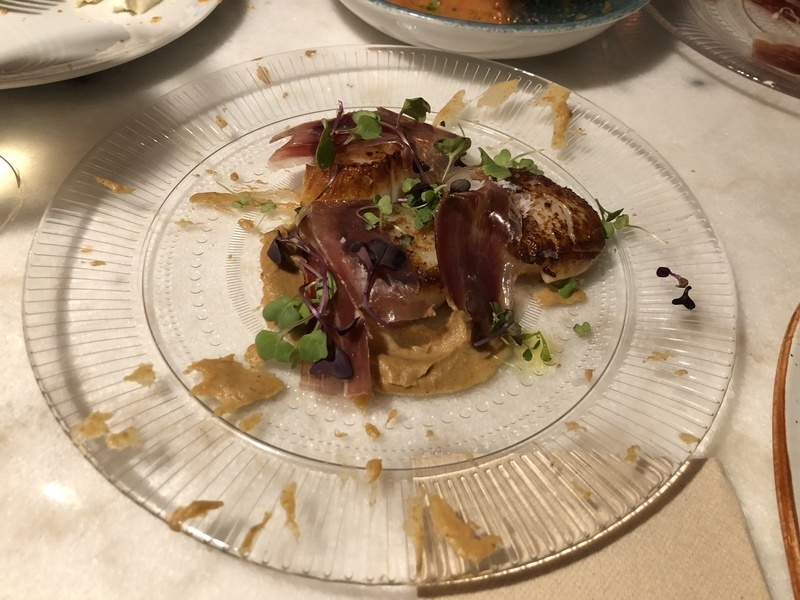 Dinner after our La Pedrera visit was at RAÓ Bar and Restaurant for a new spin on old tapas dishes. Our server was from Scotland and was great in guiding us through the menu. 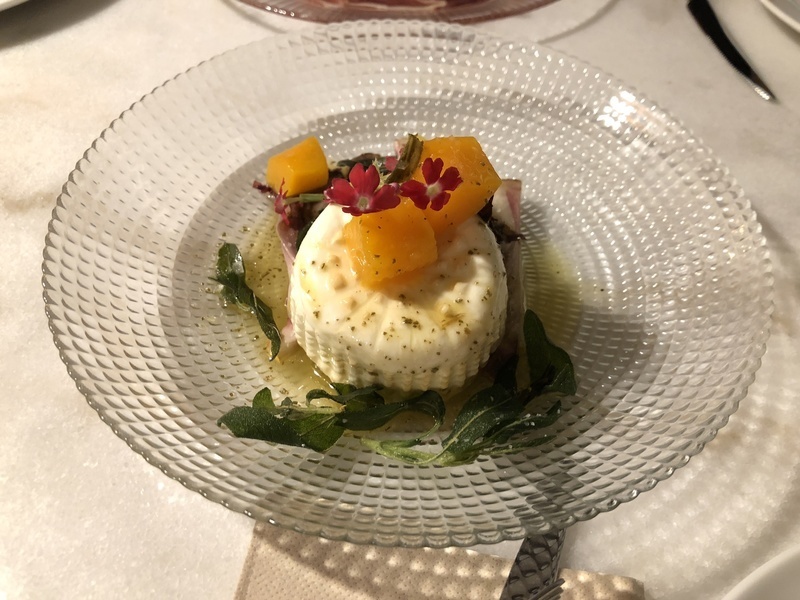 We started with smoked burrata with butternut squash, a simple plate of ibérico ham, a refreshing tomato salad, patatas bravas, and catalan cristal bread which tomato sauce. Next, the main dishes. We had scallops, roast beef with mustard ice cream (amazing! ), roasted duck breast, and pork cheeks. We ended the savory portion of the meal with a tasty seafood paella. 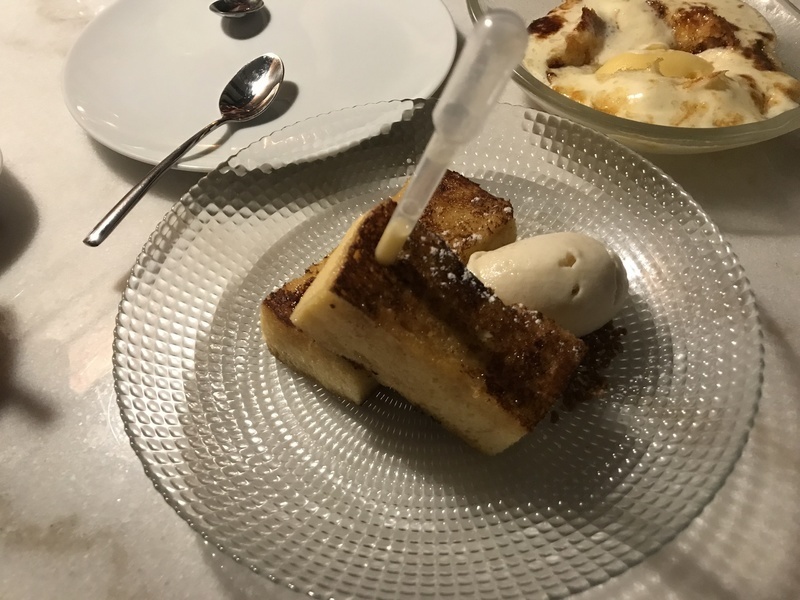 For dessert, we had bread pudding and catalan cream. The kitchen was also able to scare up a simple chocolate ice cream with whip cream at my daughter's request. We were also served two nice digestifs. One was El Afilador which was herby and similar to a Fernet-Branca. The other was a milky liquor, similar to Kahlúa. Overall, a great experience with super friendly service.